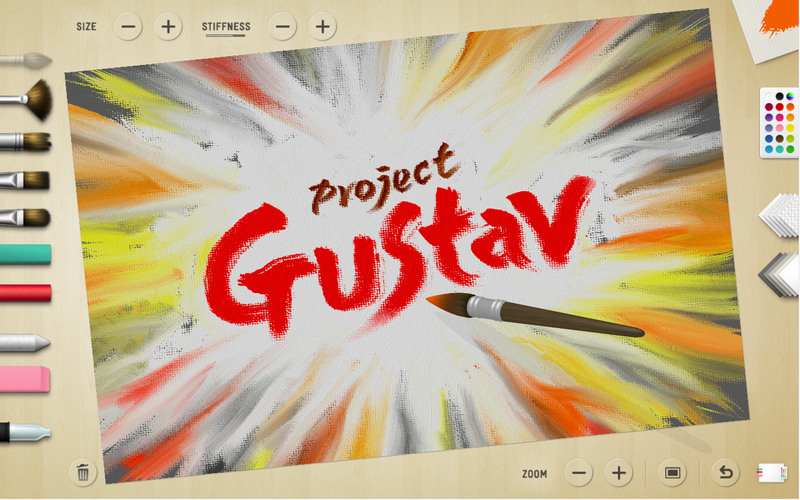 Project Gustav is a realistic painting-system prototype that enables artists to become immersed in the digital painting experience. It achieves interactivity and realism by leveraging the computing power of modern GPUs, taking full advantage of multitouch and tablet input technology and our novel natural media-modeling and brush-simulation algorithms. Project Gustav is a great example of how Microsoft’s research efforts are leading to exciting new technologies to support creativity. 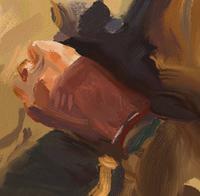 Typically the experience of painting on a computer is nothing like painting in the real world. Real painting is actually a very complex phenomenon – a 3D brush consisting of thousands of individually deforming bristles, interacting with viscous fluid paint and a rough-surfaced canvas to create rich, complex strokes. 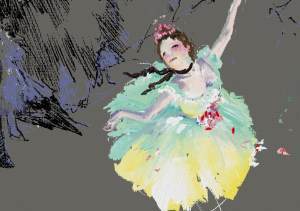 Until fairly recently, the amount of computing power available on a typical home computer simply hasn’t been sufficient to attempt simulating such a real-world painting experience in any detail. 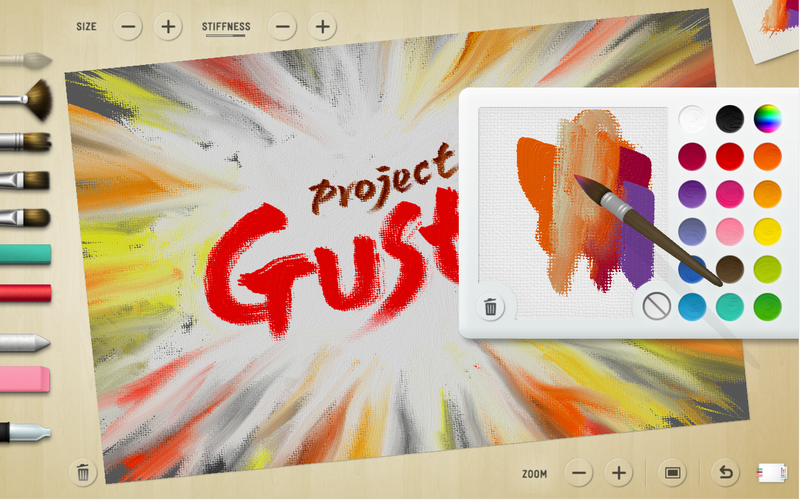 Project Gustav aims to leverage the increasing power of the PC and ever faster graphics processors and combine that with a natural user interface, to bring a rich painting experience to a wide audience including hobbyists and professionals alike. The result is a prototype system that contains some of the world’s most advanced algorithms for natural painting. Featured in Bill Buxton’s keynote at MIX 2010. 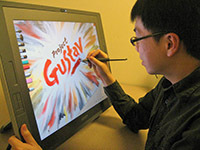 Note the use of a multi-touch & on-screen stylus device. Full keynote here. 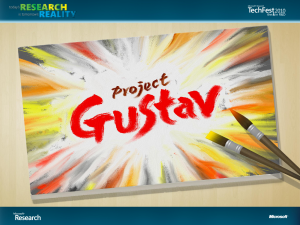 Here are a few images that were created by users of Project Gustav, and demonstrations of some of the realistic mixing and blending effects enabled by Project Gustav’s new painting algorithms. We would like to thank Georg Petschnigg, Nick Kamuda and Jennifer Booth for their helpful and creative input. Thanks also to Craig Mundie and Dan Reed for their support of the project.